Indica plants provide a physical "stoned" perfect for relaxing body and soul and are often used as a medicinal solution for physical conditions and/ or disorders. The Indica and indica dominant hybrids are put together in such a manner that the best of both hybrid and Indica characteristics are present in the strains described in the category. Why choose the Indica plant? Indica marijuana plants remain relatively small and therefore more plants can be placed on a square meter than with their Sativa counterparts. The plants remain low and are easier to control but the number 1 reason is the stoned effect and medicinal properties that Indica plants can offer. Shorter flowering times is also a good reason to opt for Indica genetics. Indica plants originated in different places than Sativa plants and have evolved through evolution into the species we know today. It is generally assumed that Sativa plants originated in humid climates and Indica plants in drier climate conditions. Due to natural selection and centuries to adapt to climate conditions, these two extremes have arisen and therefore also their chemical composition of active substances. 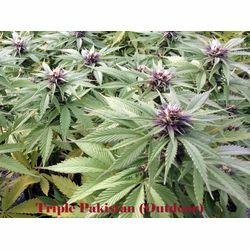 Indica strains are considered to have a more physical high / stoned effect and are therefore often used in case of medical indication of physical disorders. Why choose for Indica seeds? Every person has their own preferences and this is no different when it comes to selecting a cannabis strain. The growing and flowering of an indica is a different experience from growing and flowering a sativa dominant plant and what is pleasant for one can just as well be a problem for the other. 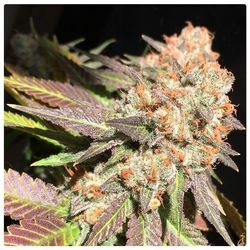 Indica plants have a short flowering period after which they can be harvested or maybe you are drawn to the extremely compact buds which they produce. But the most common reason is the physical stoned effect or impact that these indica strains cause, medical conditions or pain control can also be a reason to choose an indica strain. 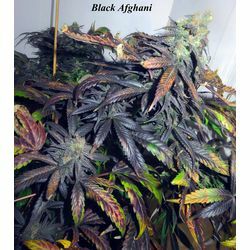 Sanniesshop has a selection of various world renowned indica plants that you can choose from and there is a perfect choice for every user. Indica plants remain relatively low and tend to grow widely and smaller than their sativa counterparts, this should be taken into account when deciding on the amount of plants to purchase. When growing indoors, it is advisable to put between 9 and 25 on a square meter and to grow for 2-4 weeks depending on the occupation. As a mnemonic, it can be maintained that if the plant leaves of the individual plants overlap, it is time to adjust the light hours cycle and start the flowering period. This way you ensure that your space will be sufficiently filled with plants where compact buds can grow to enjoy for a long time.